Almost a year ago, the Donelan family’s estate vineyard Obsidian fell victim to the wildfires engulfing wine country. The scourge swallowed her every last vine and scathed her soil to darkness. It wreaked havoc on Obsidian, but what it didn’t know, or rather what it seemed to forget, was her story. Those destructive flames were the same elemental magic by which Obsidian was brought into this world, except in a far more intense procession. The earth was once home to only the elements, morphing and colliding as they pleased, and Obsidian was their raw, untamed scion. In a tectonic symphony, the earth shattered to shift her plates into armor. Layers of torrential lava cast her body. And waves of glowing magma welded and cooled her soul into place. Obsidian is fire-borne, and the Tubbs Wildfire was merely a baptism. 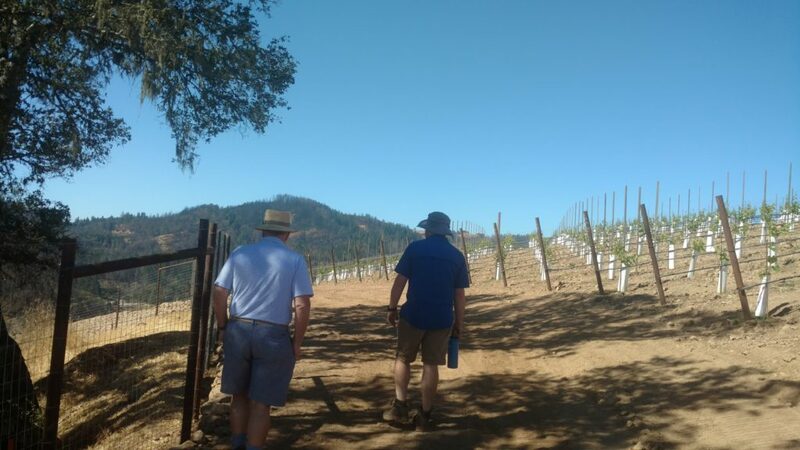 “Over the last 10 months, we have been busy at Obsidian Vineyard,” says Joe Donelan on the rehabilitation of the estate vineyard. “Busy” is an understatement. For some time, trucks and tractors were stationed in the dust while workers hauled their tools for healing, moving their way from hillside to hillside. And next to the spools of wire, hot shovels, and fresh trellises lying in the earth they were brought to mend, you’d find clusters of black volcanic glass – a subtle reminder from Obsidian, radiating her presence and signaling her return. The family and team at Donelan have been in the vineyard performing wonders, helping Obsidian find her fire again. 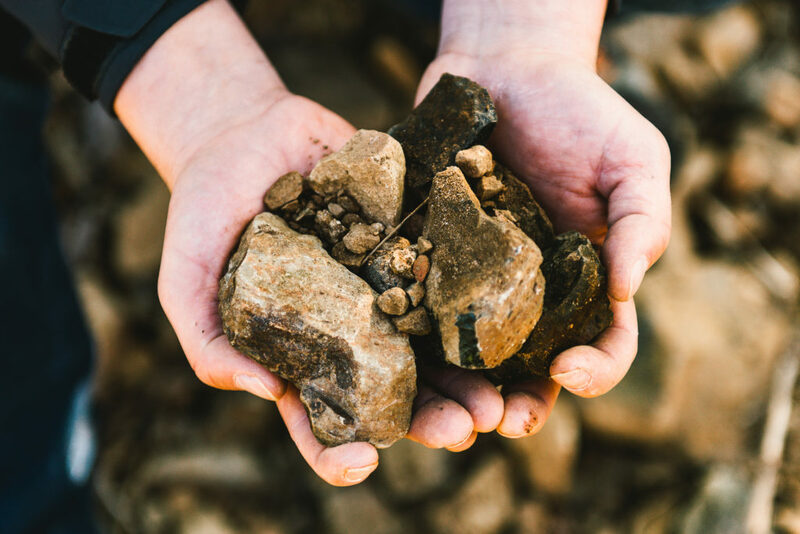 Young, ambitious vines have been put in Obsidian’s earth, firing her synapses and reawakening the land who’s been yielding Syrah crop since wine country’s first discovery. The soil is reclaiming its color. The roots are moving and taking hold. Life has returned to the land, and you can feel it like it never left. 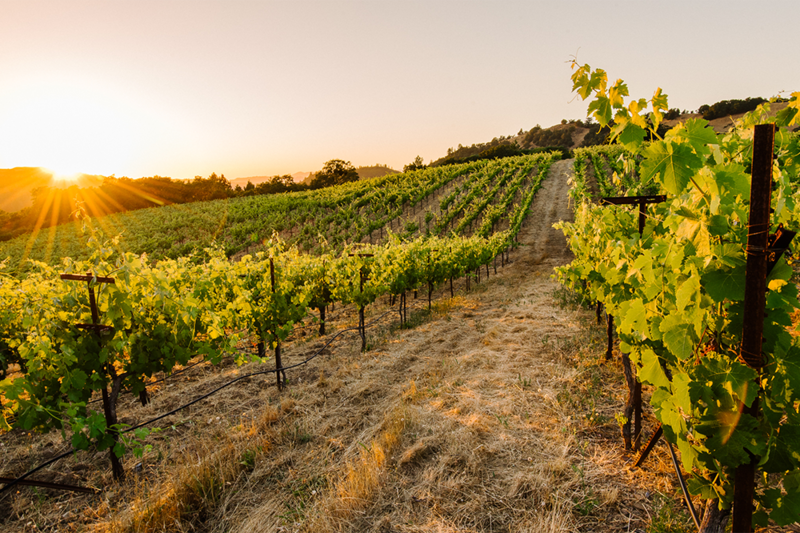 “We look forward to the sun rising over a new chapter of this vineyard,” declares Joe in a nod of reprisal. 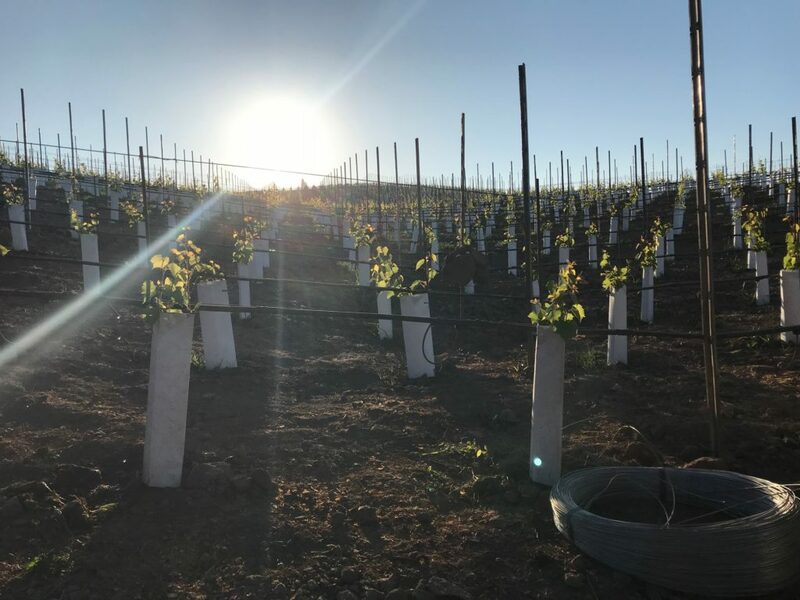 The Donelan family and Obsidian Vineyard are coming back in white hot fashion – a testament to fighting fire with fire.